Rosina is a geometric typeface created by Rebecca Hurst and published by The Northern Block Ltd which is available in 6 weights (from Thin to UltraBold) and useful OpenType features. It is a mix between dashing 1920s style and 21st Century sensibility. It merge well on headline, poster, packaging, book, typographic use etc. 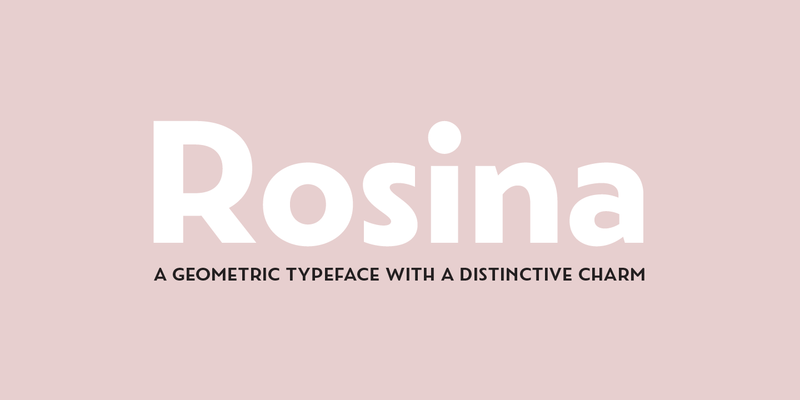 Note: “Rosina” is a trademark of The Northern Block Ltd.
Price: starting from $28,49 for one font to only $136,51 for all 6 fonts. A font description published on Monday, April 24th, 2017 in Fonts, Rebecca Hurst, The Northern Block by Alexandra that has 6,316 views.